Jumpstart Your Child's Bright Future! Give your child the right early childhood education in a happy, thriving preschool setting. Our daughter Brooke attends A2Z Academy and enjoys the homework and learning projects she experiences while there. She is always so excited to show us what she has worked on when we pick her up. 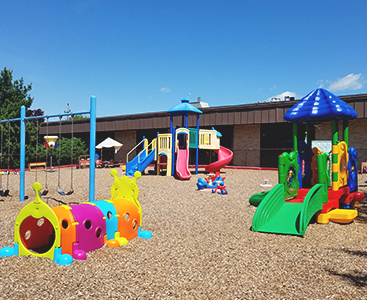 The director (Ms. Sue) is very involved and has made many changes that we feel are positive, everything from basic cleaning of the facility to providing activities that challenge our daughter but make the learning experience enjoyable for her. We feel that our daughter is heading in the right direction at A2Z Academy.